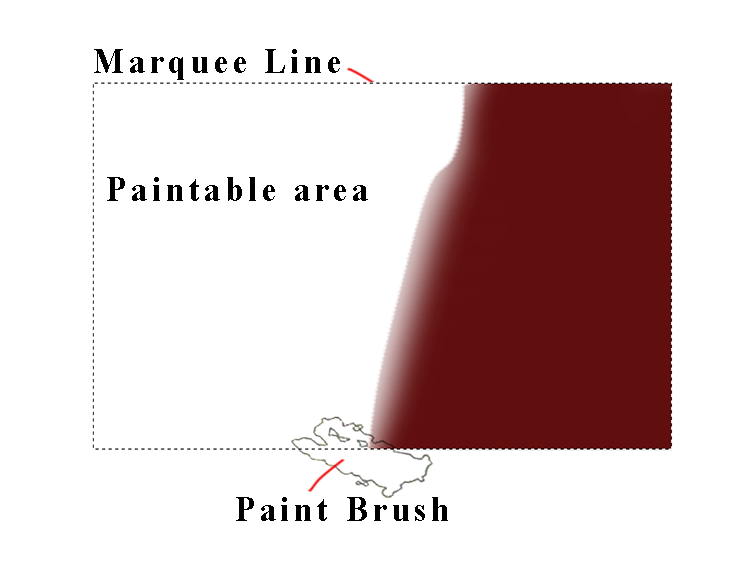 Learn the quick method of painting within a line or constrained area using photoshop. This simple tool adds to your box of trick for doing computer artwork. One of my favorite tools in Photoshop allows me to paint within a line or constrained area with great ease. This is helpful for me because my hand has a natural tremor to it making it challenging to keep within the space I want. This tool gives much aid to that problem. You’ve heard me in the past talk about a “Marquee Tool”. That’s a broken line you can create in various shapes or freehand that constrains or isolate your artistic working space also. In this case I use the square “Marquee Tool”as shown below. 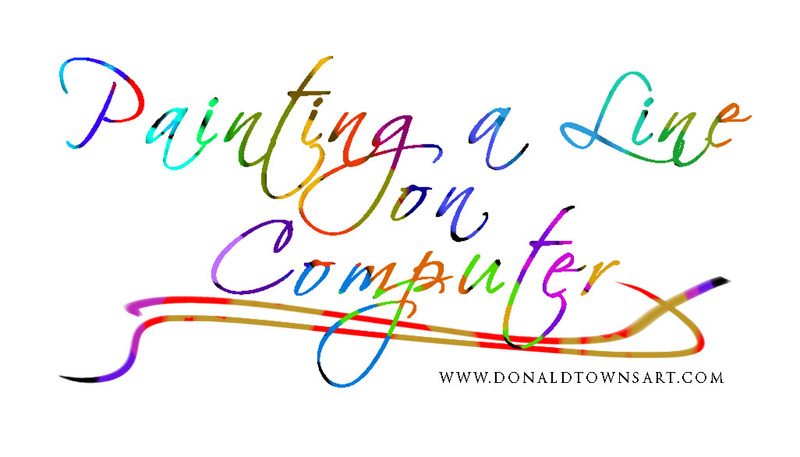 You can also check out “Painting With Photoshop On Computer” or “How to Paint Digitally With Photoshop”. These give examples of using a Marquee Tool. Even though I move outside the line nothing happens except when the brush goes within the isolated square area. And that’s where the painting start. That’s quite useful when you want to stay within a given area. But this post is more about the “Lock Tool”. 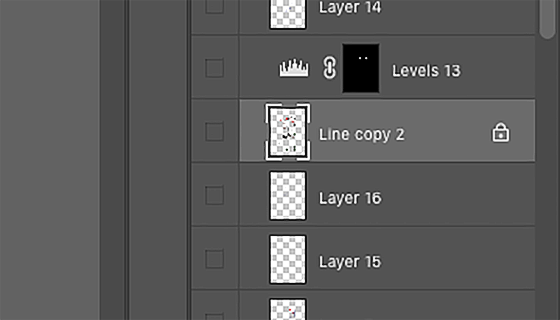 There’s another tool that basically locks the artwork or image and allow you to stay within a line or confines of the image you’re working with. To give an example of this, I’ll use a caricature drawing I did of myself using Photoshop. 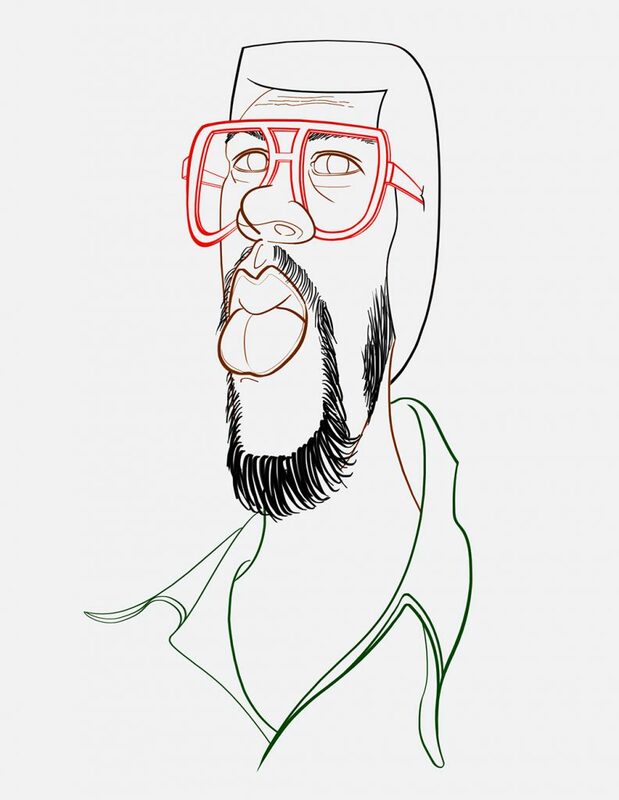 Click on the image layer with the line work or image you want to paint. I want to color only within a line or lines itself. Nothing outside of the line or shape. Then click on the lock tool as shown below. 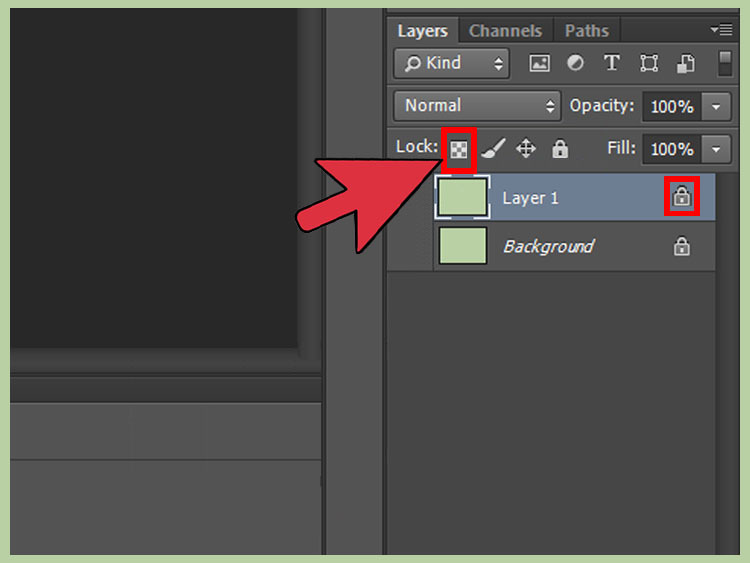 You’ll see the lock icon appear to the right on the same layer. This allows me to paint color into the line and only the line or shape. A wonderful photoshop tool Adobe thought of for the software. Now just start painting in the color or colors you desire for the image. 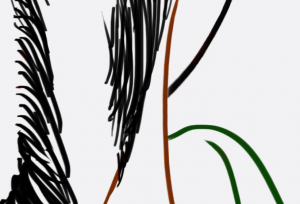 Below you see I used different colors in different areas, such as the shirt, glasses, skin and hair colors. It means being more careful as lines intersect to keep the specific color where you want it to be. You can also Marquee off the portions of the lines where you want certain colors to be confined as well which would speed up the approach. The same application can be applied to an image as well allowing you to paint within that image, but not outside of it. Below is a painted example of the black image being locked, then doing whatever your artistic expression desires within it. You can also use any of the adjustment tools for changing values, colors, Exposure, contrast parameters, etc. you may like. How do you like the colors within the lines of my Title Art? Simple! Give it a try. Next time I’ll paint in my caricature.